Healthy dogs should have a strong, shiny coat and the condition of a dogs fur can clue their owners into potential issues. Many dog fur issues are the result of allergies but other conditions can also occur. Owners should pay close attention to the condition of their dogs fur and take note of any changes such as missing hair, excessive scratching, and dull appearance as these can all be potential indicators of an issue with your dog’s health. Making sure that your pet attends regular vet appointments can help pinpoint any issues early on. If a dog has significant hair loss, it can be an indication of serious health risks and can potentially indicate a weakened immune system. There are also many different conditions that can lead to hair loss including mange and ringworm. Mange is a condition that is caused by mites and can lead to large patches of hair loss in addition to severe itching. Skin redness and skin darkening is also common. Ringworm is a highly contagious fungal infection that can cause your dog to lose hair in patches. Ringworm needs to be treated however it is not usually a life threatening issue. Dogs can be allergic to a host of different things just like humans, and pinpointing allergies is not always easy. Allergies can be caused by things such as pollen, food, fleas, mold, dust, and more. Allergies may cause hair loss, skin redness and bumps, and itchy or scaly skin. There are several different options for treating allergies that are dependent on the type of allergies being dealt with. For instance, steroid therapy can be used to relieve environmental allergies, and diet can be adjusted to deal with food allergies. Is Your Dog Showing Signs of Allergies? Ask The Vet: Can Pets Have Seasonal Allergies? Hot spots are one of the most common skin and fur issues with dogs. Hot spots generally involve bald spots on your dog that are red, inflamed, and sometimes scaly. They often itch and dogs are compelled to lick or bite at the spot excessively. Hot spots can be caused by several different things including allergic reactions, poor grooming, flea bites, and constant chewing or licking that is prompted by boredom and/or stress. You dog’s vet will attempt to determine the underlying causes of the irritation and will also treat the hot spots. Treatments can include antibiotics, and possibly painkillers depending on the severity of the issue, a collar that prevents licking and chewing, and medication to treat parasites if that is determined to be the issue, in addition to other options. A healthy dog will have a strong, shiny coat and brittle, dry fur that lacks luster can be an indication of a bigger issue. Poor coat appearance can be caused by a poor diet so low quality foods should be avoided. 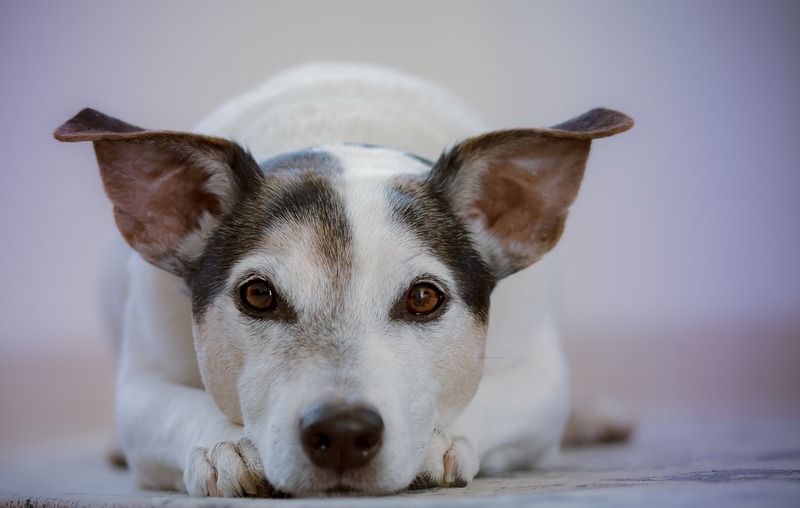 Diabetes in dogs can lead to fur that loses its luster in addition to patches with thinning fur. Hypothyroidism is another condition that can lead to a brittle, dry coat appearance. It can also lead to hair loss. Itchy Dogs: Is Food The Problem?